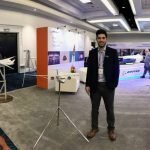 PacMin produced several large exhibit models for Boeing at the 2019 AIAA SciTech Forum in San Diego. 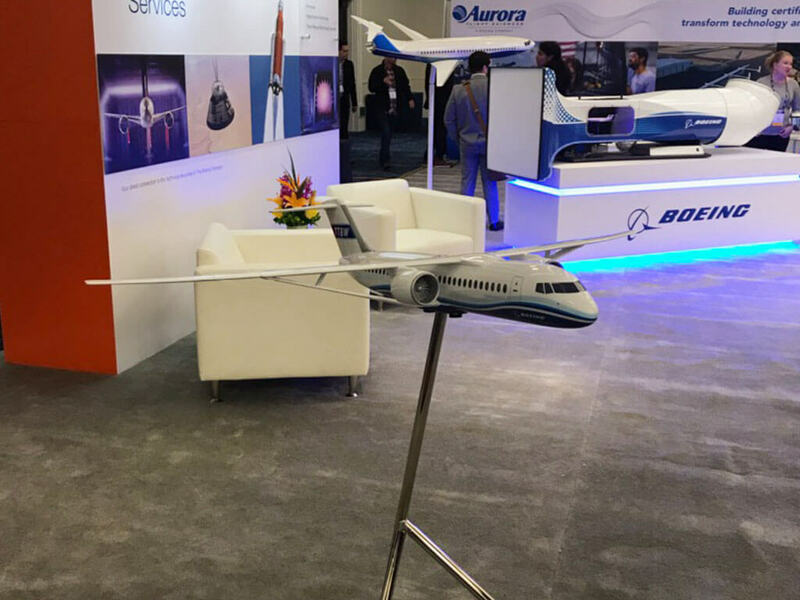 Exhibit models on display included two concept aircraft, the recently unveiled Transonic Truss-Braced Wing (TTBW) and the Aurora D8, as well as a 737 MAX 10 which will begin commercial flights in 2020. The Transonic is a concept being developed by Boeing and NASA. It has been in development for a decade. One of its most noticeable features is its long, ultra-thin wings. Even on a 1/40 scale model, like the one at the event, it measures an impressive 4.3’ (1.3m) long. Another commercial aircraft concept on display was the D8, which was represented with a 1/20 scale exhibit model. Development of the D8 is also funded by NASA. It is a collaboration between Aurora Flight Sciences, Massachusetts Institute of Technology (MIT), and Pratt & Whitney. 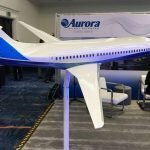 Aurora aims to have its first half-scale demonstrator by 2021 with test services beginning as early as 2027. 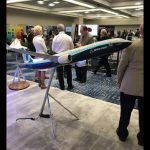 In additional to conceptual aircraft, a custom scale model of the latest 737 MAX was also on display. The 737 MAX 10 exhibit model features lit passenger windows and cockpit, realistic navigation and anti-collision lights, and a custom angled tripod base. 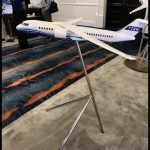 The MAX 8 and MAX 9 variants of the aircraft are already in commercial service, with the MAX 7 expected to begin flights in 2019, and the latest MAX 10 to enter service in 2020. 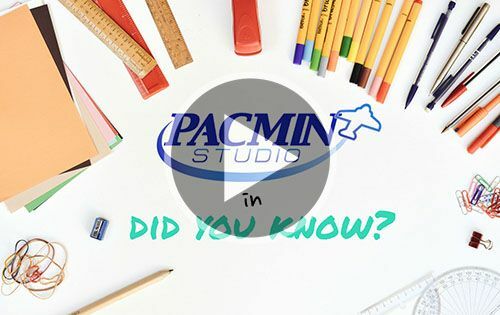 Find out more about our aerospace models or contact us for other inquiries. 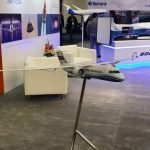 For more about the Transonic, visit Boeing’s website.